Set up a Job Alert to be notified when Logan University posts new jobs. Since 1935, Logan University has remained grounded in chiropractic education, while continuously enriching academic options with degree offerings in health sciences. We are proud of our 12:1 student/faculty ratio, affordable tuition structure and rigorous curriculum, setting the bar for board exam pass rates, which exceed national averages. Logan University graduates employ a holistic approach to health and wellness to meet the demand for less-invasive, lower-cost treatments and comprehensive care and lead the integrated health care industry. 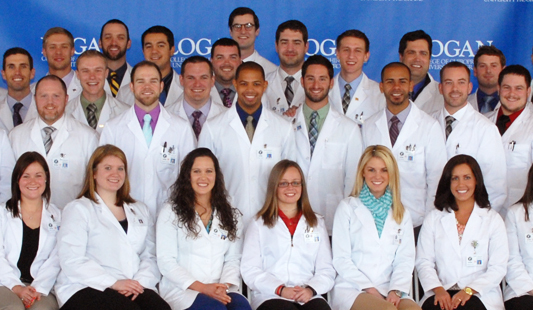 Through an innovative, outcome-based academic curriculum that emphasizes evidence-informed care, diverse clinical immersion opportunities, emerging technology and proved practices, Logan University graduates are trained, confident and prepared for the future. 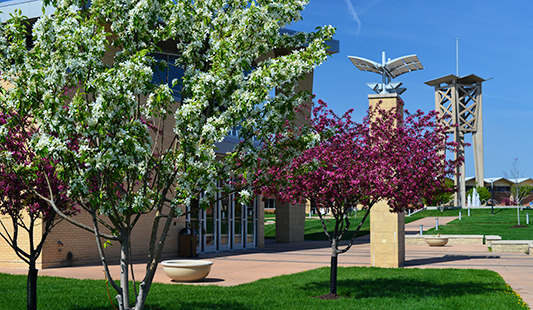 Logan University offers a wide variety of campus resources to its students to complement the quality education with resources that complete the whole experience. You can also gain insight into the many facets of Logan University by viewing the various student services that are offered! Student services exist to ensure that students at Logan University have the complete education experience. Find out what’s happening in the Logan University community by keeping updated with their blog! Get acquainted with several selected students that are featured on Logan University’s “Meet Our Students” page. Connect. Mentor. Refer. You can make the Logan difference. Logan University provides multiple methods for you to get connected with the people in and around the University. Visit the web page to view the Alumni Directory, update contact information, refer a student, connect with Logan University, and more. Logan University is a leading institute for chiropractic care and other health services. Logan University offers chiropractic health centers that are staffed with highly qualified and experienced chiropractic physicians who are knowledgeable in radiology, rehabilitation, nutrition and chiropractic techniques at a top chiropractic college. · More than 75 years of teaching and professional leadership, chiropractic quality and innovation, and community service. · On-staff multidisciplinary experts, who are nationally known teachers, authors, leaders and researchers. · Expert care through access to qualified specialists in orthopedics, neurology, sports injuries, pediatrics, ergonomics, nutrition and radiology. · State-of-the-art applications of technology and techniques for patient assessment and treatment. · Direct supervision by experienced clinicians, who are Doctors of Chiropractic and teaching clinicians at Logan. · Care by highly-trained and motivated student interns, who have participated in our chiropractic programs and are familiar with the newest discoveries in chiropractic health care. Visit us on the web to find a more in-depth list of services and details. Logan's mission, vision and core values serve as a benchmark for measuring our commitment to excellence through quality educational programs, outstanding faculty scholarship, and service to the community and the profession. Logan University will be recognized nationally as a community of learners inspired to lead a life of significance. Logan University is a diverse and engaging community committed to excellence in health sciences, education and service, guided by integrity, commitment and passion. Logan College of Chiropractic is a premier graduate educational institution and the College of choice for those men and women dedicated to providing exceptional patient care that promotes wellness and individual quality of life. Logan College of Chiropractic prepares students to become Doctors of Chiropractic who are superbly educated and clinically competent practicing portal-of-entry chiropractic physicians. This mission is accomplished through our dedicated faculty recognized for student-centered excellence; comprehensive science-driven, knowledge-based and information-facilitated curriculum; enhanced by community and public service. The institution is committed to the conduct of research and other scholarly activities.